Linux app support for Chrome OS may sound like a big heaping bowl of irrelevant geek stew, but don't be fooled: This move is enormously significant. It may have gotten lost in the shuffle of all the Android P news at Google's I/O conference last week, but fear not, dear friends: Chrome OS has definitely not been forgotten. Google's been making steady progress in advancing its Chromebook operating system over the past several months, particularly around its efforts to further align Android and Chrome OS and turn Chromebooks into all-purpose productivity machines and Android tablet replacements. Practically every week, in fact, there's some new and noteworthy feature being added into the platform (something we've talked about a great deal in my weekly newsletter as of late). And though it wasn't in the keynote, a massive new development did sneak its way into Chrome OS during I/O: the quietly announced ability for Chromebooks to run Linux apps as if they were native applications, without the need for any complex and security-defeating configurations. Linux app support is on its way to the Pixelbook to start — currently in that device's developer channel and likely becoming available much more broadly before long. 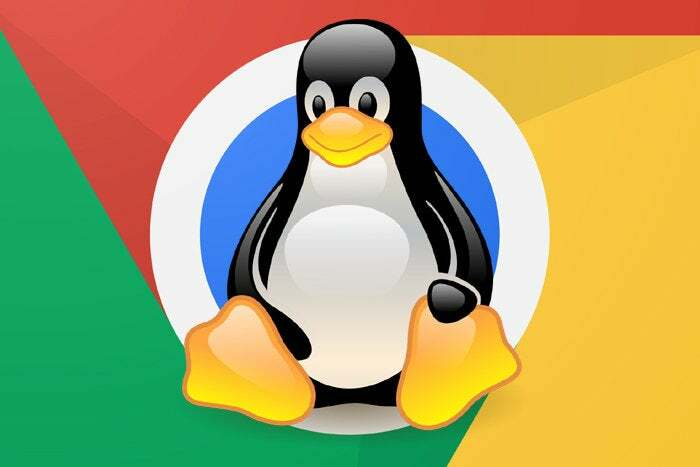 Before you write this off as being no big deal, though, hang on: Linux app support coming to Chrome OS is actually a monumental move for the platform — for two main reasons. 1. It's yet another "but" checked off in the column of "But Chromebooks can't..."
Look, let's be realistic: The arrival of Linux app support isn't something that's gonna excite your average Chromebook user or probably even be on his radar. And that's perfectly okay. It isn't meant to be a mainstream sort of thing that drastically changes the platform's appeal or convinces hoards of Chrome OS doubters to suddenly drop their hesitations. What it will do, though, is once again expand the possibilities of what a Chromebook can accomplish — and in doing so, it'll make Chrome OS as a platform more broadly viable for a very specific subset of advanced "almost there" users. Think about it: At this point, Chromebooks can run traditional Chrome and web apps. And they can run Android apps — a similarly transformational capability, only on a much more universally impactful scale. For the vast majority of computer users, that combination alone is enough to cover all the bases. It's no exaggeration: Most people really don't need specific local programs anymore. That's not true for everyone, of course — there are obviously plenty of exceptions — but it is true for a huge chunk of the computer-using public. But then there's a group of us — myself included — who fall somewhere in between the categories of "a Chromebook does everything I need" and "there's no way I could ever use a Chromebook." I hear a lot of people express this sort of sentiment: "I can almost get by on a Chromebook, except for..."
And that's precisely the group for whom the new Linux app support could be significant. For me, my one lingering Chrome OS "but" is Photoshop: While web-centric image editors like Pixlr are good enough for casual use (and heck, even the super-simple Chrome OS image editor is sufficient for super-basic needs), I do a fair amount of advanced image editing work for which Photoshop is preferable. My Chromebook is great for traveling and for pretty much everything I do away from my desk, but when I'm sitting in my office chair and working, it's just easier to use my Windows desktop because of the image-editing benefits it provides. Similarly, for anyone who needs meaty audio-editing software — another one of those pesky long-standing Chromebook holes — something like the Linux-based Ardour could potentially get the job done. You may even be able to run Audacity in the new Chrome-OS-Linux environment. And the list goes on from there. Now, again: For someone whose computing needs revolve heavily around specific Windows or Mac software, is this going to change anything? Nope — absolutely not. But for someone like me, who's basically on board with Chrome OS but has one remaining asterisk keeping it from being completely viable, this could be just enough to close that last remaining gap. Seriously, you can't underestimate the importance of this. 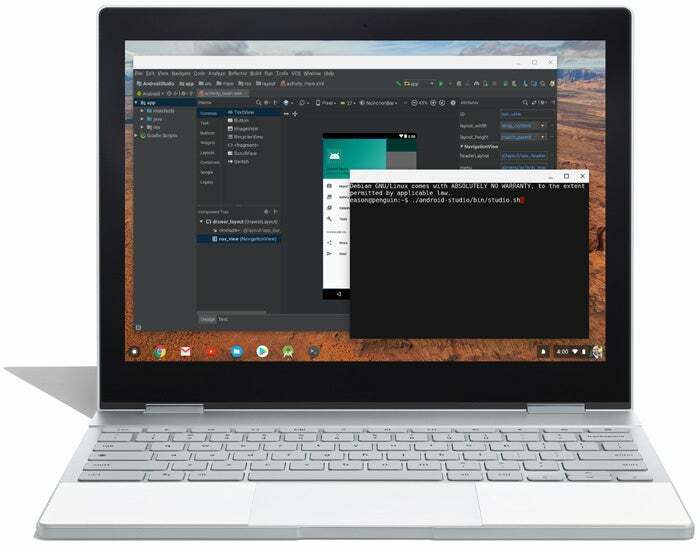 By bringing Linux app support to Chrome OS, Google is allowing developers to run code editors — including Google's own official Android Studio development tool — on Chromebook devices. Up til now, there was no great way to accomplish that. Remember: Google is positioning Chromebooks to take over the role of the Android tablet. While most Android apps can run on Chromebooks just fine out of the box, without any major extra effort, the experience tends to be noticeably nicer when a developer takes the time to optimize an app for that environment and make sure it's taking full advantage of the larger screen size and keyboard-assisted interface. And if Android developers can actually use Chromebooks to do their work, well, they seem much more likely — at least in theory — to develop their apps with Chromebooks in mind. Support for Linux will enable you to create, test, and run Android and web apps for phones, tablets, and laptops all on one Chromebook. Run popular editors, code in your favorite language, and launch projects to Google Cloud with the command-line. Everything works directly on a Chromebook. Heck, Google even created an entire page on its Android developers site devoted to the subject and encouraging developers to give it a whirl. Like we've said a million times before, understanding the significance of Google's Chrome OS progression is all about seeing the forest for the trees. This is yet another seemingly small piece of a much bigger puzzle — something that may seem shrug-worthy on the surface but that, along with all the other incoming pieces, adds up to make an increasingly intriguing whole.